Growing up means getting bruises and scrapes, but there are things we as parents and caregivers can do to make kids’ environments safe for all the fun and living they do. 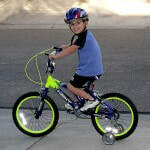 We have tips that show you how to keep your kids as safe as possible as they play and ride with you in the car. Everyone has heard the word “recall,” but do you know what it means? Recalls affect everyone at some point in their lives. An item can be recalled by the manufacturer or government when it fails to do what it is supposed to do or when it poses a safety hazard. You can find out about recalls for household items, like cribs, toys, and appliances from the Consumer Product Safety Commission (CPSC). If you’d like to check a carseat or vehicle for recall, look at the National Highway Traffic Safety Administration website or SafetyBeltSafe USA website. Infant seats, those carrier-like carseats with handles, can sometimes be listed for recalls on both the CPSC and NHTSA websites when the safety hazard occurs on the infant seat when it’s used as a carrier as opposed to being used in the vehicle. One of the most dangerous things your kids do every day is ride in the car. Get the most up-to-date recommendations here. A child’s body temperature can go up 5 times faster than an adult’s, making them more prone to heat stroke. 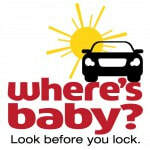 Learn safety tips about kids in cars here. 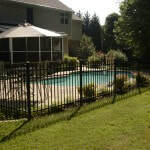 Fence access points to a pool to prevent toddlers and young children from getting to a pool. But any water can be dangerous. See our tips here about the ABC & Ds of Drowning Prevention. 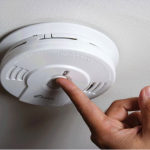 Smoke detectors and an escape plan are two ways of planning for fire safety. We also have tips for burn prevention here. 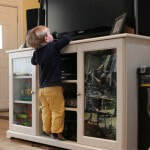 TV and furniture tip-overs happen more frequently than you might imagine. Learn how you can prevent these from happening by clicking here. Helmets are great tools for protecting our heads during sports like biking and skateboarding. Learn here why fit is so important.